Caught this one back in 2009, when I was on a one week trip to Washington D.C.
Don’t really know where in the city this is. But maybe there are some locals following along who can tell me. 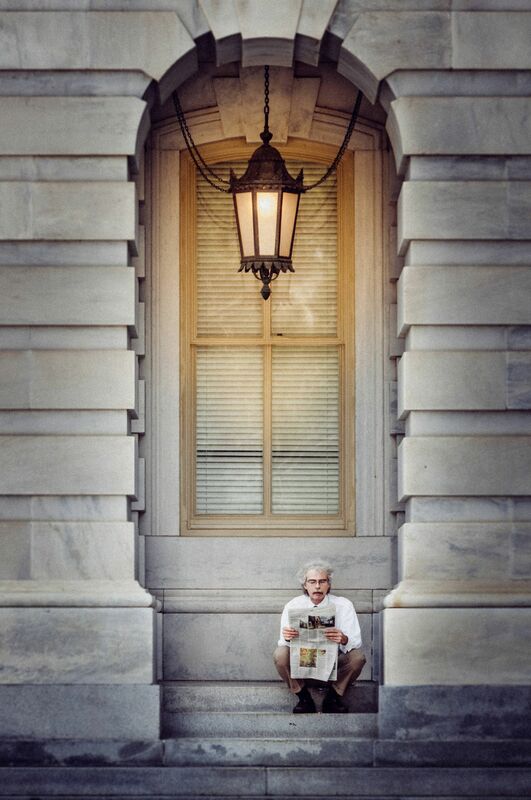 Man reading a newspaper by Bo47 is licensed under a Creative Commons Attribution-NonCommercial-NoDerivatives 4.0 International License.